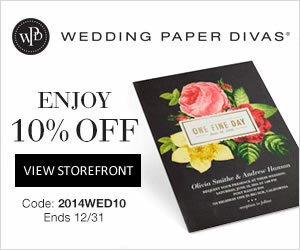 Ring in the New Year with Winter Favors & Party Goods from American Bridal! Ring in the New Year with some great winter favors and party supplies from American Bridal! Take 15% off with no minimum purchase, also, receive Free Shipping on purchases of $125+ valid 12/17-12/23. Oh, marvelous Mason jars! A staple in grandma's kitchen and pantry, these glass containers sparkle with traditional and treasured memories. Yummy jams and jellies. Delicious pickled fruits and vegetables. And now, your wedding or party favors. We've made historic a bit more romantic with these exclusive wedding accents. Designed like the timeless food preservers, these jars honor your legacy with personalization information on the lid. Add a romantic or whimsical icon -- we have 75 designs on the table -- then finish with your wedding date and names or initial. They're perfect for candy, bath beads, colored pebbles, sand and other colorful contents. The jar has the trademark Mason handle and faithfully mimics that timeworn, well-known profile. Order some extras for reception or rehearsal dinner decorations. Cute and totally collectible, these Mason jar favor holders are shelf-worthy additions in your guests' homes. 15% off No Minimum valid Tuesday, December 17th through Monday, December 23rd. 25% off $150 valid Tuesday, December 17th through Monday, December 23rd. Free Shipping on order $125+ valid Tuesday, December 17th through Monday, December 23rd, 2013. Starting 12/10/13 get your last minute gifts and enjoy 20% off with no minimum purchase, valid 12/10-12/13 only. Also take advantage of our $5 Gift Sale! Ends 12/16/13. What kind of gift can I get for a mere $5? Well, how about this attractive and practical monogrammed tote bag? Let's face it - girls love personalized tote bags, and what's better than a personalized tote bag bearing your initials? Stylish and functional, these attractive tote bags are the perfect accessories! If you are looking for bridesmaid gifts your bridesmaids will squeal with excitement when you present these pretty, personalized tote bags at your rehearsal dinner, and they'll love carrying them to the market, the beach, and everywhere! Available in Pink with Brown trim and Black with White trim, this personalized bridesmaid's tote is constructed from durable 600d polyester and easily transitions from a traditional tote to a chic purse with a simple snap closure. The front slash pocket keeps your essentials within reach, and the side snaps on the gusset provide an expanded opening for easy access. Top Gifts up to 60% Off! Starting 12/3, stock up for the holidays and enjoy Free Shipping on orders over $50 at AmericanBridal. To help you get started, why not consider this attractive Karina Cotton Tote? With a trendy tapered profile and generous carrying capacity, this tote makes an essential take-anywhere companion. It comes in your choice of solid colors, accented with stylish script for personalization. Add the recipient's name, initials and more, all with cool contrasting color. This Karina collection tote is also a wonderful gift idea for bridesmaids, wedding attendants and contributors. A rustic rope handle lends an authentic touch and functional contrast to the tote's elegant silhouette. Beach-bound or headed to the mall, this tote is equally efficient. It can hold towels, purchases, everyday accessories and much more. When her purse just isn't an option, this portable pouch makes a chic and stylish alternative. Present it with her other gifts stuffed inside for memorable presentation at the rehearsal dinner, bachelorette party or wedding reception. The tote measures 13 3/4" inches high by 15 3/4" inches wide. The rope straps measure 11 inches high.